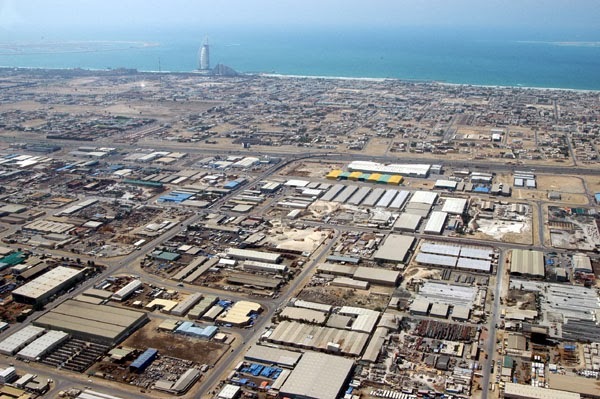 The Dubai Government has allocated a number of Industrial areas and provided them with all necessary facilities, such as internal roads, electric power, water, tele-communication services and other facilities. The local government offers various incentives to the businesses involved in industrial projects. These include exemption from customs duty on import of items for the use of industrial projects such as raw materials and machinery, in addition to a 10% price preference in government prices over imported goods. There are five basic requirements to be complied by an entrepreneur to start up an industrial project in Dubai. · Diversification to create infrastructure suitable to attract high-tech industries. International Standards Activities in Dubai Industrial City will be governed under international safety, quality & environmental standards. Dubai Industrial City will introduce the Dubai Quality Mark (DQM) for products manufactured in the city. Industrial Fund Dubai Industrial City is setting up a multi-million dollar fund to provide financial products tailored to the needs of the industrial sector. The fund is being set up in conjunction with leading banks, investment houses and prominent business groups in the region. The fund will be managed by globally renowned industrial fund managers. Advanced Logistics: TransPARK – Dubai One of the major segments and attractions of the Dubai Industrial City will be a dedicated Logistics Park. This will be especially designed to meet the special logistic needs of the tenants. It has specialized facilities from warehousing, labeling and packaging to advanced transportation systems. Education Academic zone will host the first Engineering University in Dubai. The Engineering University will be established in partnership with one of the leading globally branded schools. Several technical training centers will also be set up in partnership with prominent business houses to cater to skill needs of specific sectors Amenities The Dubai industrial city will be a complete city of its own, with a Downtown area that will have varied facilities such as hotels, entertainment, conferences, and residential complex areas Single Window Clearance Dubai Industrial City also offers a one stop shop providing a single window of clearance for government services, support services and access to labor from all over the world. Very informative blog for the people who are planning to set up their business in UAE. Keep posting such updates about the same or recent news related to it. Right now I am trying to connect with a few professionals and industry leaders like P Mohamed Ali over there before I can start something there. Dubai Business Services can steer you through the process of business registration in Dubai and take care of all the local work required to set up your business at best prices. Industrial land developers are developingindustrial park in Jaipur. They have great experience of real estate industry. We are also developed industrial area in kishangarh. You can develop your dram project near to Jaipur city.